Moses and the Red Sea is one of the most popular incidents from the Bible. This incident is largely debated and refuted by atheists and scientists. 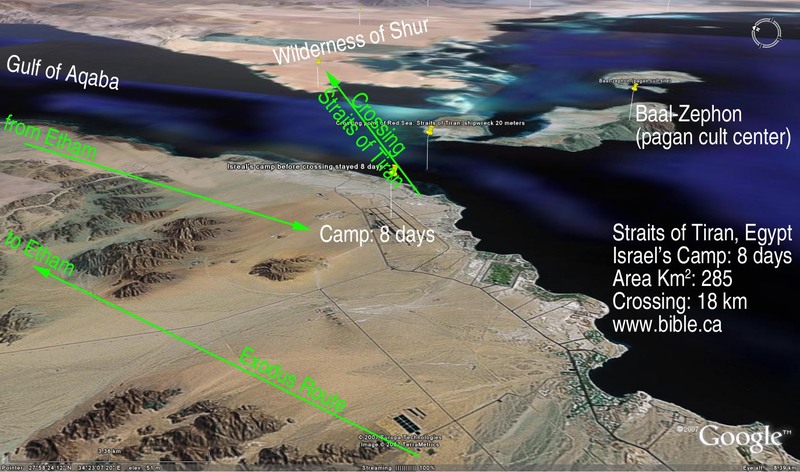 Though archeological evidences have been found in the Read Sea which validate the crossing of Israelites, serious debates happen in various communities. A senior researcher at St. Petersburg Institute of Oceanography, Naum Volzinger and his colleague Alexi Androsov state that partitioning of the Red Sea is scientifically possible and the miracle could have happened. This conclusion is based on a number of mathematical calculations with regards to wind speed. The Russian duo Naum Volzinger and Hamburg based Alexei Androsov calculated that if the night was gusty and the wind speed sustained an average of 67 miles per hour, then the sea bed can get exposed. Note that the Bible states that “the Lord caused the sea to go back by a STRONG east wind ALL THE NIGHT”. Mr. Volzinger noted that this incident happened 3,500 years ago and the Read Sea was much shallower then. When a strong wind with 67 miles per hour is sustained, the sea can part and people can walk on the sea bed. There were 600,000 Jews and it would take four hours to cross the sea at the nearest point in the Red Sea which is seven kilometers. Once the wind dies, Volzinger stated that it would take half an hour for the waters to come back and mentioned that he is convinced that God rules the Earth thorugh the laws of physics.